What voltage and end current are you charging to? If cells of unequal capacity are top balanced (and not re-balanced by a balancing circuit), then they should remain top balanced (but diverge significantly at the bottom). UNLESS the cells are also different in efficiency. Then they will keep diverging. So my theory is that each cell should be independently tested for both capacity and efficiency and a battery should be built from cells that match well in both. Automatic balancing helps, but how much depends on its capacity and when it is active. I wouldn't use your 57 Ah figure to calculate the battery capacity. I would use the 66 Ah reading when the first cell reached 2.8V. I may not have expressed myself correctly. The 57AH figure was the calculated rated AH capacity of the pack, accounting for an 80% discharge from 100%. If my math is correct, once the system logged 57 amp hours (technically 57.6) it demonstrated the batteries are living up to the rated AH. Everything past that -like getting to 66 AH- is icing on the cake. So here are the test results of the second bank of cells. 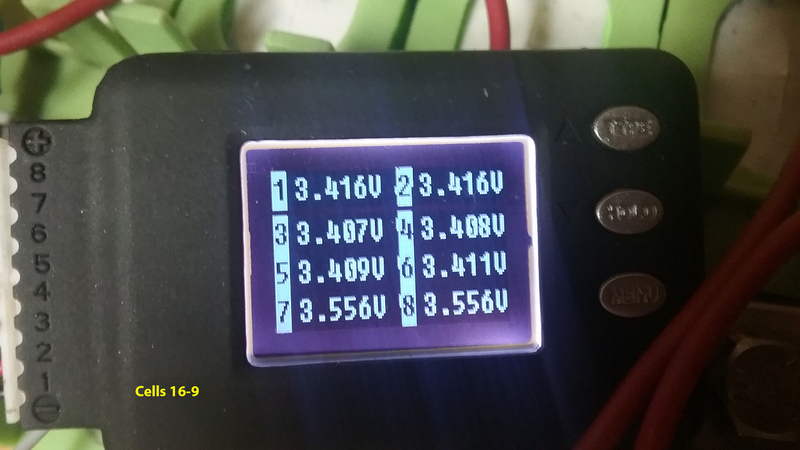 Again charging from a pack charged in parallel to 3.6v. Similar results. 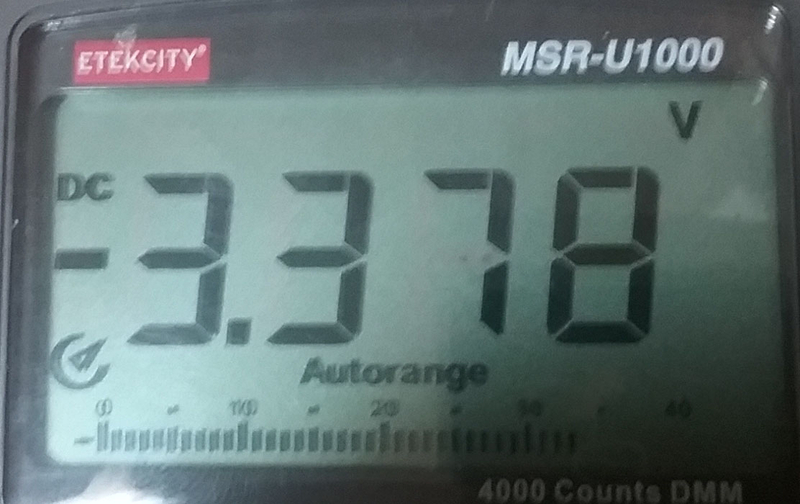 Discharged the bank to the highest cutoff voltage on my inverter; 48.8v (3.05v per cell). Cells stayed in great balance all the way down, but started diverging near the bottom, around 3.1v. 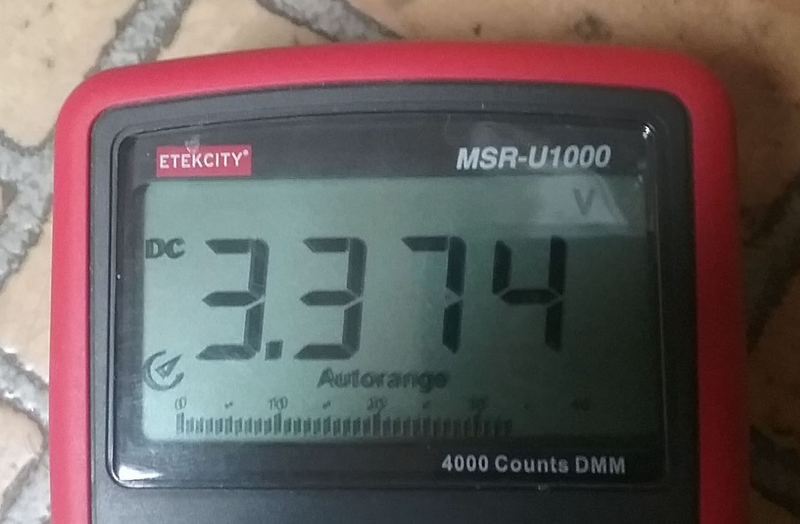 When the inverter cut off at 48.8v the cells had about a 180mv divergence. Then attempted to charge pack to 3.45v per cell (55.2v). 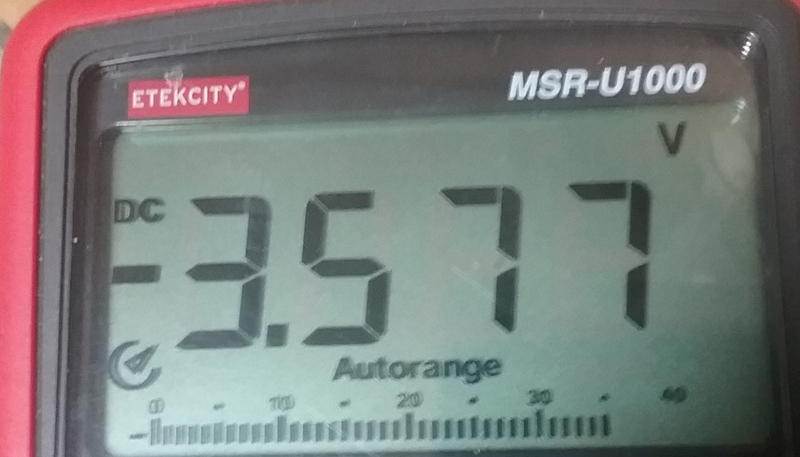 At around 54.2v the cells started to diverge to such an extreme that I had to stop charging. 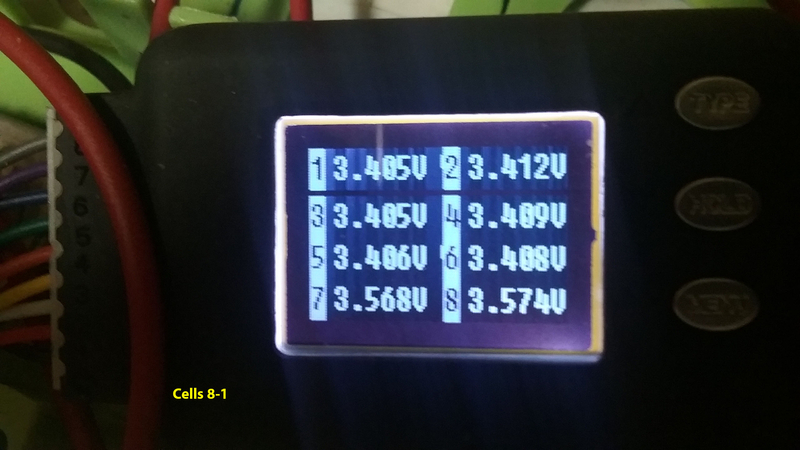 4 cells were going higher than 3.45 (one up to 3.8v), while the other cells were still in the 3.3x range. 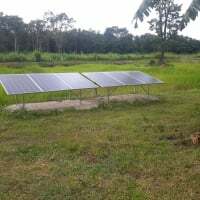 1) Both banks tested as having at least the rated 72AH capacity. Not even one cell was below 72AH. Although capacity may (and probably does) vary higher, the issues with some cells exploding higher after discharging the pack to only 3.0v or higher does not seem like a capacity issue. 2) I have placed the balances back on the cells after seeing they were diverging in voltage near the top of the RE-CHARGE cycle. The balancers did seem to even out the energy in the cells (per narrowing voltage readings), yet when I activated the charger again the same cells soon started to diverge and go high, while the other cells lagged. 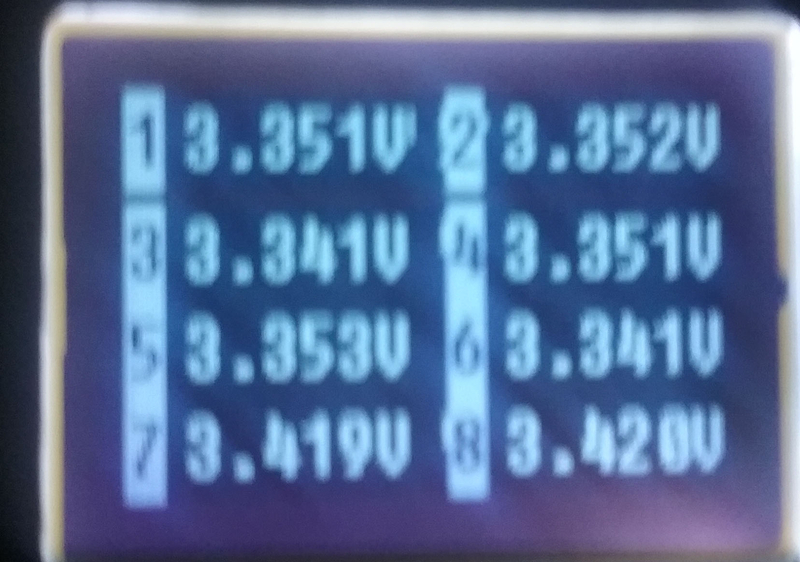 Although I may be able to get these 32 New Energy cells to usable in a pack by cutting off the discharge cycle even earlier, before the divergence occurs, which may allow the charging to complete around 3.4-3.45 without some cells exploding higher (MAYBE), I am going to open a warranty claim with the manufacturer. My vendor has agreed to help me pursue this. In the meantime I'm going to test above theory to see if the less extreme discharges that karrak has recommended allow the pack to be charged to at least 3.4v per cell. We will see. Yep, defiantly sounds like they are faulty. The cell voltages are amazingly close at 3 volts for a top balanced bank. I'm sure mine have a much wider divergence at that voltage. What doesn't make sense is the divergence at the top of your bank when all the cells should be converging. Do you believe all the cells have issues, or just some? Do you believe all the cells have issues, or just some? Well if the divergence in efficiency theory pans out then no cells may have issues other than the fact that as a whole, the 32 cells have broad differences in how efficiently they handle energy. So what I need to negotiate is to swap cells until the pack is closer in that regard. 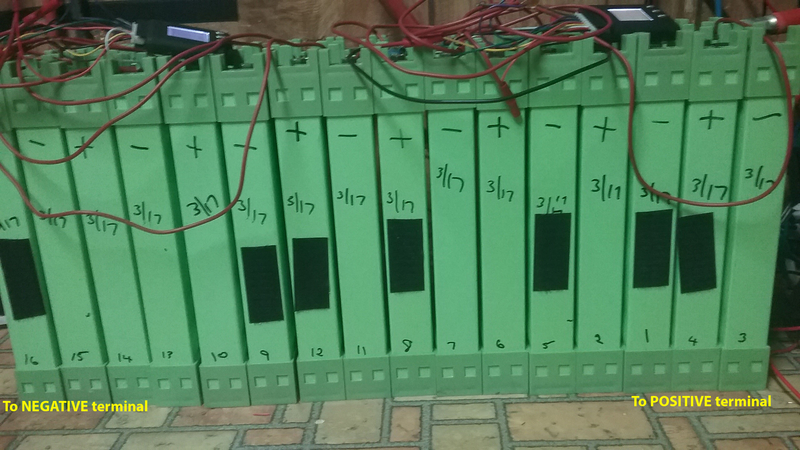 I'm hoping all the documentation from the testing will give my vendor enough ammo to convince the battery maker to provide a solution. And again, I think this is the metric that Simon has suggested will smooth out over time. Perhaps the maker will agree that the cells they were selling in that time frame were too far out of factory spec. I'll post the results of that conversation here. Say you were charging 72AH over 4 hours and one cell was 1% less efficient (say 98% vs 99%). It would take .2A of continuous (not just top) balancing to keep them balanced. This is why I have an interest in the BMS24T BMS. It claims 1.2A of balancing. Note to everyone following this thread: As I run the tests a second time, to verify findings and get scrupulous documentation for a warranty claim to the battery maker (New Energy), I am learning that the extreme divergence in cell voltages is only occurring during charging, not on discharging. Furthermore, the cells are recovering any divergence that occurred at the low end of the SOC, and staying in balance until nearly fully charged. It is only in the last stages of charging (I am currently determining that exact threshold) that cell voltages radically diverge. This seems to be a few cells absorbing the charge far faster than other cells. I therefore must RETRACT everything I have stated in this thread regarding the balancers. These balancers may well do all they claim. I doubt though that they were designed to react as quickly as required at the nearly full SOC when voltages diverge quickly and sharply. Jim, there is a strike-through option that might work for this, but I believe you will need the help of our venerable MODERATOR, BB to unlock the thread so you can access the entire thread, not just the last week or ?? time frame allowed. Just give me the post numbers and I can strike through or delete as you wish. @LostinSpace Jim, personally I have followed the entire thread and the evolution as it unfolded, there is important information, even if it is eronious, deleting parts would not allow others to learn from potential pitfalls you've experienced. 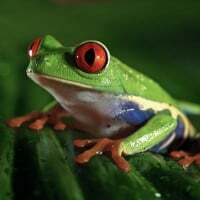 A disclaimer to relevant posts stating why to ignore the information perhaps, or something along those lines, would still allow reference, which may be useful to others. There seems so little dialog on the subject in general, other than the batteries are dangerous, why one shouldn't use them etcetera, learning from the mistakes of those bold enough to experiment is invaluable. My opinions, your decision and thanks for sharing your findings so far. Bill, thank you. I am wondering how best to do this. I certainly don't want to delete anything, but asking you to do a strikeout spree would be a chore because only sections of text within a post would be applicable. I have always wished I could rename the thread, because it morphed into a completely different topic. If I could rename the thread, then add a disclaimer to the initial post that I made, that could tip off someone reading the post for the first time. Not sure if either of those are possible though. Rather than making changes to this thread, maybe consider starting a new one with a link back to this one, and maybe a brief summary of the discussion so far? I can rename the thread. And, if you wish, type up a note for the first post, and I can add it there to explain what the whole thread is about. Conclusions and summaries are helpful. IMO, it would be more accurate to say that some cells are absorbing charge slightly more efficiently than others. But as you approach full charge, slight differences in SOC mean large differences in voltage. UPDATE: This thread started off as a search for a normally closed contactor that would draw power only to switch state when a trigger even occurred. However, a member (@karrak) after seeing a photo of my array suggested a way the pack could be configured more efficiently. In doing so I uncovered a major problem wherein the cells of the pack were not staying balanced... in spite of thorough attempts to do so. The majority of this thread is the process of discovering why the pack wouldn't balance. OK, picking up from post #186, I am retesting both banks to verify for sure that the cells are diverging in voltage near the top of the charge. One reason for this is that it never hurts to verify, and, I don't think I logged the first test well enough to map an over-charging cell noted on the celloggers to the specific cell number it mapped to (cells are numbered 1-32). So this time I was careful to note which specific cells were diverging high. SO ON THIS SECOND TEST A LARGE CLUE HAS EMERGED... I just don't know what to do with it. 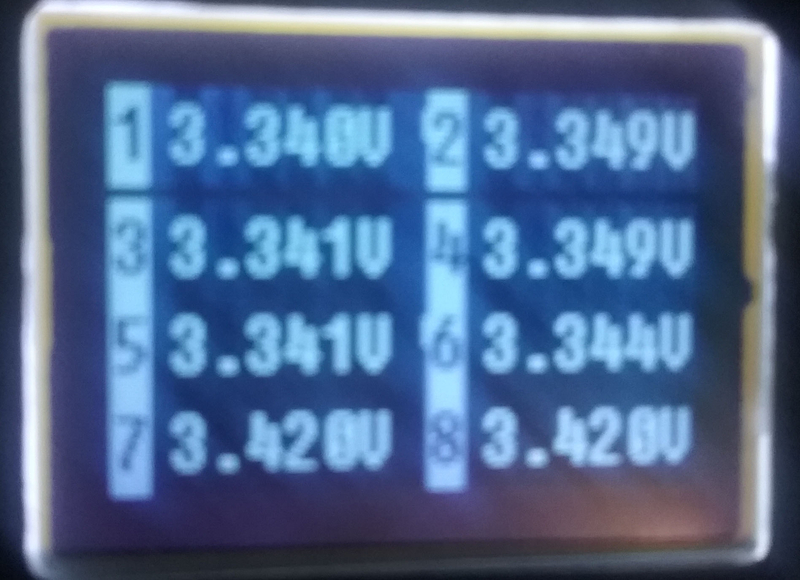 After discharging the freshly balanced bank (charged on the imax 3.6v charger), and observing about a 100mv difference when discharged to 48.8v pack voltage, I then recharged the pack with the inverter's charger set for 55.2 (3.45v). As noted before, near the top of the charge curve a few cells (specifically 4) climbed high (over 3.5v) relative to the other cells. What was of interest however was that it was the same cell numbers on both of the two respective cellogers; cell 7 and cell 8. This mapped physically to cells 9&10 for the cellogger monitoring cells 16-9, and to cells 1&2 for the logger monitoring cells 8-1. I found this coincidence striking. Both celloggers had the same two cell numbers spiking in voltage. I therefore decided to repeat this test #2, only with the overcharging cells swapped around. I swapped cells 9&10 with 11&12, and cells 1&2 with 3&4. Re-balanced the pack and repeated discharge/charge procedure. I was of course expecting the overcharging cells to move to from positions 7&8 to positions 5&6 on both celloggers. NOTE: Not finding the photos for this first pass of test #2. No photos of first pass for now. To make a long story short I was surprised to see that the overcharging cells did NOT move to positions 5&6 on the celloggers. You can see the swapped cells in the attached photos of the second pass. They were originally in numerical order for the first pass (of test #2). How can this be? How can cells in a specific physical location on the pack be subject to charging higher than the other cells? See attached photos for second pass results. (I stopped the charging before the 4 errant cells went into dangerville). The first answer is that the celloggers MUST be out of calibration. Positions 7&8 on both loggers must be reading the cell voltages incorrectly, and the pack is in fact still balanced. Except, look at the photos of the voltmeter. My voltmeter read the same numbers. I'm going to run this same test on the bank now (cells 17-32). But not sure what to make of this mystery. Your connections are all clean and low ohms? Does your imbalance change with a high load vs no load/no charging? What happens if you leave your cell logger completely disconnected and only use your voltmeter? It would be less confusing if cell 1 in the first cell logger was physically cell 1. Good question. I should add that the braided bus bar strips were completely mixed up in all the tests. I pulled them off and threw them in a pile, because each time I charged from the imax charger I used longer bus bars to do the parallel charging. Same with the bolts. I don't see how there could be mixed resistance with all the mixing up... plus everything is new. I should add that I was just looking over some photos of the celloggers in prior testing, and again it is logger positions 7&8 that go high. Does your imbalance change with a high load vs no load? Well, these measurements are all under no-load conditions.. while charging is occurring, except that the solar charge is powered up so that I can get the pack voltage remotely in my house. 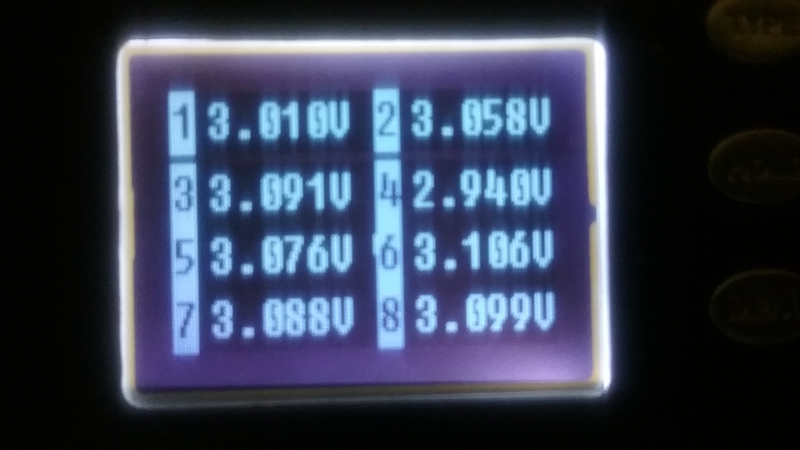 When the charger is turned off the bulk of the cells that are running around 3.45v quickly drop back to 3.4v (which as a side bar seems evidence that those cells were still not fully charged. ? ), while the 4 errant cells also drop back, but not nearly as much. They still read higher than the others. I will need to check that and get back to you. Good idea. While charging, I'd use the volt meter to probe different positions on the bus bars and battery terminals. For example, terminal-to-terminal and then far end of bus bar on one terminal to far end of bus bar on other terminal. Do this for a good cell and a problem cell. If you have zero resistance connections and bus bars, then the voltage will be the same no matter where you measure. I just pulled the celloggers off, including the connecting leads to the high cells, and voltage remains high. 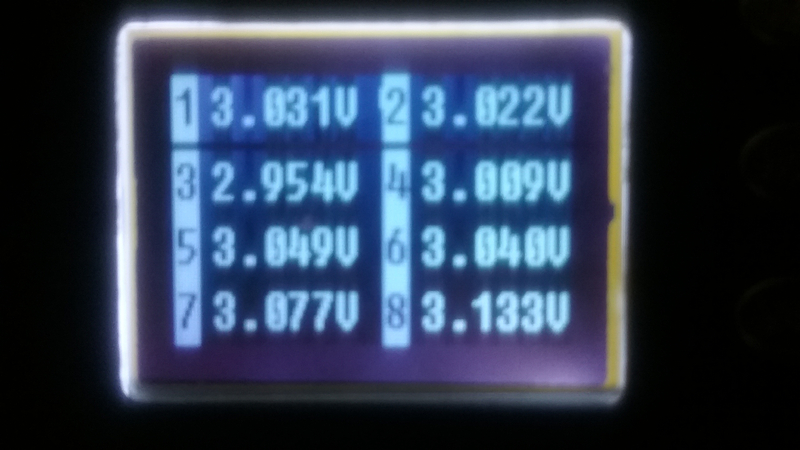 Also, attached are pictures of the cell voltages after sitting under no load and charger off for about an hour. While charging, I'd use the volt meter to probe different positions on the bus bars and battery terminals. For example, terminal-to-terminal and then far end of bus bar on one terminal to far end of bus bar on other terminal. 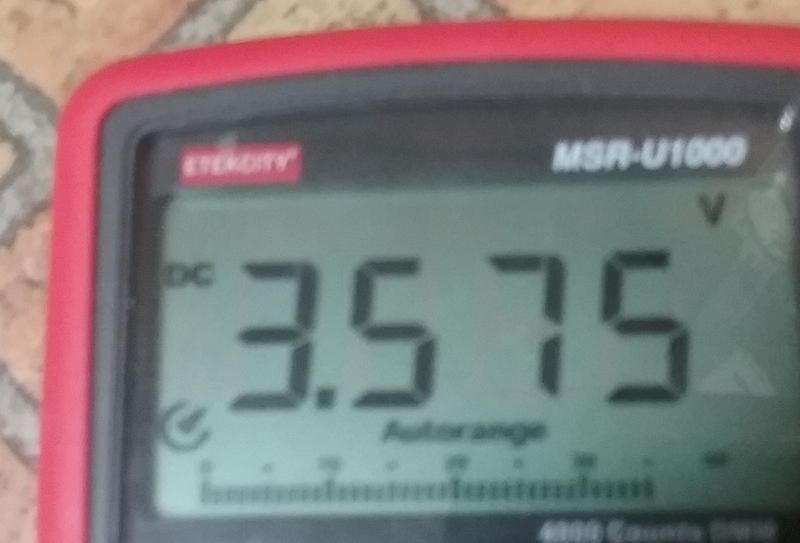 If you have low resistance connections and bus bars, then the voltage will be the same no matter where you measure. You are referring to measuring while the cells are configured in series or in parallel? In series. Hopefully when you top balance with them all in parallel, you let them sit for quite awhile with no charging taking place. Or verify balance by testing each cell with the voltmeter (after disassembly). You also have separate balancing circuitry connected? If so, it could cause imbalance and should also be disconnected for a test. No. The balancers were not connected for these particular charging tests. Here is a picture of the top of the array. @LostinSpace How are things doing with your project you went silent. Well I haven't posted for some time... because I hadn't solved what the issue of the cells had evolved to... which was that I couldn't pin down a specific cell (or set of cells) that were acting up and either charging or discharging outside the normal curve (see post 95). As it turns out I have a bad batch of cells. There was no logic to how and why the pack was going out of balance, and continued testing kept pointing to the cells simply not behaving in a uniform manner. My battery vendor agreed, and accepted a warranty claim. There was just one tiny problem. The maker, New Energy, went bankrupt a few months ago. My vendor however did not. Really good guys at ElectricCarPartsCompany.com. They are honoring the warranty regardless. They still have a stock of the cells and are providing a one year warranty. I was offered a choice of receiving 32 of the same New Energy cells, or pay a premium and receive 32 of the newer CALB CAM72FI Aluminum clad cells. BTW! - My vendor has a shipment of batteries sitting on a ship in a Long Beach harbor... and learning that the shipment has fallen under the new 25% tariff on these goods. Sure hope this trade war bluff pays off! You are NOT going to believe this, but when you posted your question I had already started the above post.